Includes one 33.75 x 60 inch Minnie Mouse Door Banner. 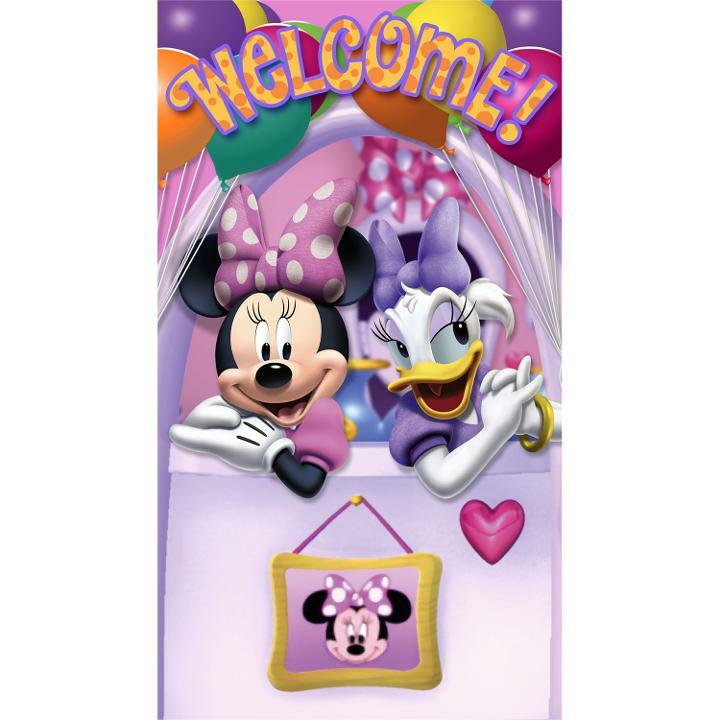 Welcome your guests in style with this charming Minnie Dream Party Door Banner featuring Minnie and Daisy. Use on your front door, or on the door to the party area. This is an officially licensed Disney product. 33 in. x 60 in.